When I wrote about my Zeiss camera on August 11th I promised to post a colour photo taken on it. Although the camera was never designed for colour film - the lens isn't colour corrected - I tried one roll in around 1983. The results were quite good - certainly sharp and in fact with no evidence of difficulty over the colour. 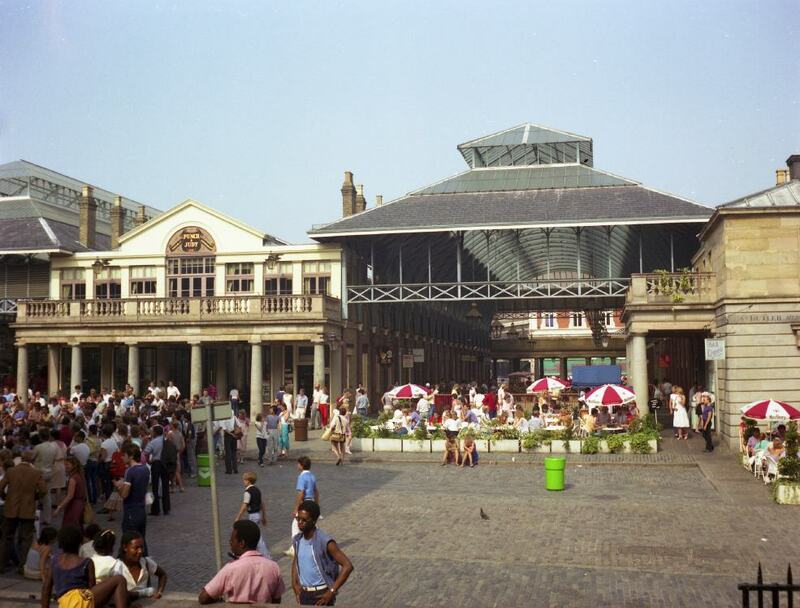 This photo is of the 'new' Covent Garden, rebuilt after the old fruit-and-veg market moved out. It's something of a tourist trap, but pleasant enough - often with live music in the downstairs restaurant area.